Selling your home is not a simple procedure. It involves large sums of money, complex legal requirements and holds the potential for costly mistakes. Gina will go the extra mile to help you sell your home in the least amount of time, for the best possible price. In today’s market, there are allot of homeowners who consider “going it alone” and selling their homes without the help of a Realtor to “save money on the commission.” However, once they realize how complex and intimidating a real estate transaction can be, many people reconsider and enlist the services of a Realtor. There are more than 145 steps to complete a real estate transaction. It requires an organized, step-by-step approach that many homeowners simply don’t have the time or experience to carry out. As your Realtor, Gina will provide you with a variety of services including helping you to set a listing price within current market guidelines. She will work with you to develop a marketing plan, and along the way, offering recommendations and advice to make your home more attractive and “saleable”. She will act on your behalf during negotiations, always making sure that your best interests are protected. Another advantage of working with Gina as your Realtor is the far-reaching market exposure your home will receive through the Multiple Listing Service (MLS). The MLS is a property marketing system that relays information about your home to a national network of Realtors and potential homebuyers in your market. 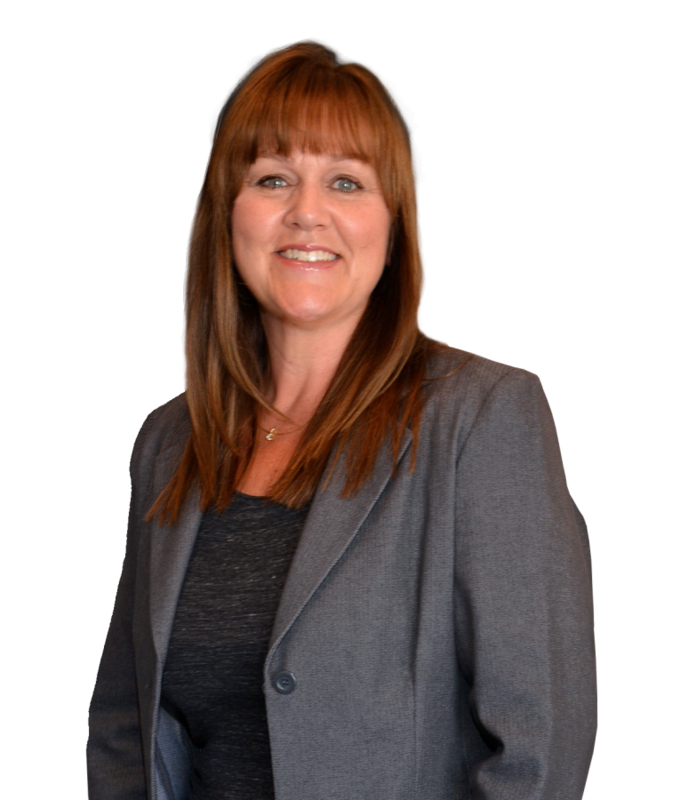 Gina was the first Realtor to introduce the Multiple Listing Service to Sioux Lookout in 2005. And she continues to be a trailblazer, still being the only National Franchise Realtor in the area. Both of these features alone are her commitment to you that she is always seeking the highest exposure when listing your property. And the greater the exposure your home receives, the more likely you will be to find a buyer who will pay the best price for your property. The real estate market is constantly changing and evolving. When you’re making the decision to sell your home, It helps to have a good idea of current market conditions. There are times when it may be a good idea to put off selling your home for a period of time, until market conditions become more favourable. As your Realtor, Gina will assess the market condition of your property and work with you to place your property on the market at the right time. A Seller’s Market is when the number of buyers exceeds the number of homes on the market. This obviously the most favourable market condition when it comes to selling your home. During these intense periods where the market is favourable to Sellers, you can expect to have a greater number of competing offers and more leverage in terms of negotiating a higher selling price for your home. A Buyer’s Market is when the supply of homes on the market is greater than the demand for properties. During periods where the market is favourable to Buyers, Your home may take longer than expected to sell, and you may have less leverage in terms of negotiating the selling price of your home. A Balanced Market is when the number of homes on the market is equal to the number of buyers. During Balanced Market conditions, you can expect your home to sell in a reasonable amount of time and for a fair price. Once you’ve made the final decision to sell your home, Gina will provide you with a comparative market analysis for your home based on the most current market information to help you determine the right asking price for your home. The asking price of your home is determined according to a number of factors, including: Location, Size, Style, Condition, Proximity to Services & Amenities and Market Activity. Putting a fair asking price on your property helps your property sell faster and exposes your listing to a wider selection of qualified buyers. As well, the right price helps make your home more marketable, and generates competing offers. Once we have determined the selling price of your property, it is time to put your property on the market and begin promoting your home to potential buyers. The process of selling a home begins with the Listing Agreement. It’s a contract between you and Royal LePage that builds the framework for subsequent forms and negotiations. It’s important that the listing agreement accurately reflects your property details and clearly spells out the rights and obligations of all parties. Once the listing agreement is signed, both you as the property owner and Royal LePage as your selling agent are bound to its terms and conditions. By signing the Listing Agreement, you are appointing Royal LePage as your sales agent with the authority to find a buyer for your property. The agreement sets the duration of the listing period, states the listing price, and describes in detail the property you are selling. This includes information like lot size, building size, building style and materials, floor areas, heating/cooling systems, room sizes and descriptions. It is at this point that you will decide what you are taking with you and what you are leaving with the house. Generally, unless stated otherwise, fixtures remain with the property, while chattels(things which are movable) aren’t included in the sale. If necessary, what will stay and what will go are listed under “inclusions” or “exclusions”. Finally, the Listing Agreement also sets out the financial conditions of the property, including the mortgage balance, monthly payments on the mortgage and the due date of the mortgage. It will also provide information about annual property taxes; references for any easements, rights of way, liens or charges against the property. Disclosure is a very important part of the Listing Agreement. It is a seller’s obligation to disclose all of the facts about a property for sale. The buyers will need to know material facts about the property – that is, anything that could materially affect the sale price or influence a buyer’s decision to buy it. A major cause of post-sale disputes and lawsuits center around defects and disclosure, but most disputes can be avoided if honest disclosures are made. Intentionally withholding information about a property when selling can have legal consequences. When preparing your home for an open house or showing, give it a once-over from top to bottom, paying special attention to kitchen, storage and bathroom areas. It’s a proven fact that clean, uncluttered and well-lit spaces look larger and more attractive, so try to clear away and store personal items like toys, family photos and knick-knacks when potential buyers will be coming to view your home. You may also want to give the walls a coat of neutral paint, or Gina can help you rework certain elements of your home to help make it more attractive to interested buyers. On the day of an open house, or when a buyer has an appointment to view your home, do a good tidy-up and make sure that any valuables are put away in a safe location before you go out, then relax and treat yourself to an afternoon off while the open house or showing is under way. An offer specifies the price the buyer is willing to pay for your property, any conditions that may be applied or attached by the buyer, the date that the buyer would like to take possession of the property and when the offer expires. As an act of good faith, the buyer will generally make a deposit with the offer. You don’t have to accept the offer as is. You might wish to make a counter offer that will go part-way towards meeting the offer’s conditions or price. The counter offer is one more step along the way to negotiating the final terms and conditions of the sale. Once a satisfactory offer has been made, and is signed by everyone, it becomes a binding contract. Make sure you understand and agree to all of the terms set forth in the offer. You may want to have it reviewed by your lawyer before signing. Before closing, especially if the buyer makes it a condition of sale, you may be asked to provide a current survey, or a “real property report”, showing that the location of the house is on the property owned by you and that there are no encroachments. The buyer’s lawyer will conduct a title search to see if there are any liens on the property, easements, rights of way or height restrictions. Especially in rural areas, you may also be asked to provide a certificate for a well or septic system, stating the system meets local standards. The buyer may also make the purchase conditional on an inspection by a qualified engineer or home inspector. Once the conditions set forth in the offer have been met or waived, it is now a firm deal and you can prepare for your move, looking forward to Closing Day. On or before closing day (also known as the Completion Date) lawyers representing you and the buyer will set up a trust account for the money coming from the sale and will pay off any mortgages you owe on the property. Your lawyer should also make sure that you receive compensation for prepaid expenses such as property taxes, electrical or gas bills, or if applicable, any heating oil left in your tank. After these are paid, you will receive any profit that you have earned on the sale. At this time, you must deliver the property deed or transfer documents, mortgage details and keys to your lawyer. Your lawyer will register the mortgage discharge and transfer the deed to the buyer at closing. Vesa Jarvela, AACI, Jarvela Real Estate Appraisals Ltd.